I know you’re ready to take the LSAT, but eliminating as many test-day distractions as you can will keep you focused on the test. Hopefully the following reminders help. Good Luck! You have the support of everyone at John Marshall. You've studied for months, heeded the wisdom of countless experts, and taken practice tests. You've done everything you can. Just don't overdo it in the final stretch. Take a walk. Clear your head. Check your LSAC account to make sure there haven't been any last-minute changes to your testing location or time. 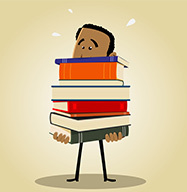 The LSAT can take up to 7 hours, so don't forget to bring the critical items that could make or break your success on the test. Electronic devices—that's the big one. No cell phones, digital watches, computers, iPods, etc. If they catch you with one, your day is over. Doesn't matter if it's in your pocket or not. 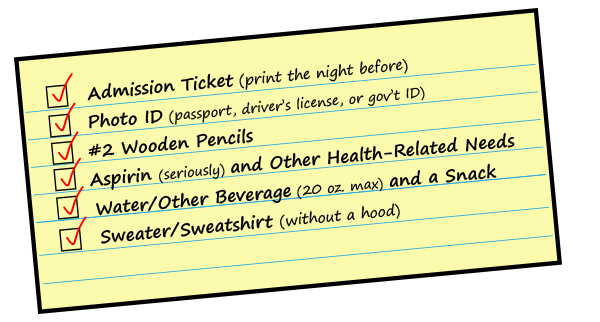 Also, no books, mechanical pencils, pens, bags of any kind, hats, or shirts with hoods. For more information, check the LSAC website. Get a good night's sleep, eat a good breakfast, etc., but none of those things really keep you calm on test day. Some folks meditate or do breathing exercises in the morning and between test sections to stay focused. Just find a way that works for you. It's a test. A really important test. And of course you want to do well. We certainly want you to do well. But in the end, it's not a measure of who you are or who you'll be. Persistence will take you further in this life than most things, so if you have to, just take the LSAT again in September. But we know you won't have to. Put The John Marshall Law School in Chicago on your list. Good luck!